Recent Rough Trade records signings PicaPica features the vocal interplay of Josienne Clarke (BBC Folk Award Winner 2015/ Nominee 2017) and Samantha Whates, dual front women who create powerful harmonies atop layers of texture created by Adam Beattie & Sonny Johns (Grammy nominee/ Mercury Prize nominee/ MOBO nominee), a tiding of magpies picking shiny moments of tone and timbre from 60s west coast, sunshine pop and indie folk. Josienne and Samantha met on the London acoustic music scene several years ago and immediately shared a love of singing and writing. 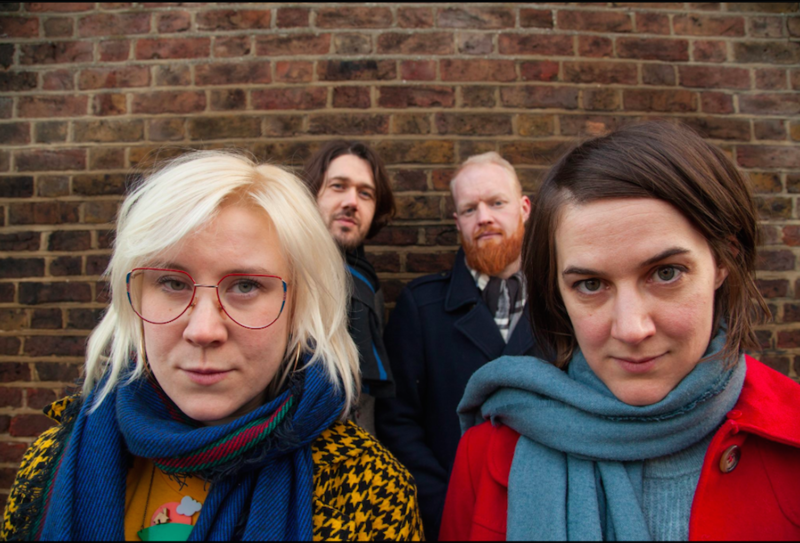 They have been unofficially collaborating for years, and PicaPica is now the fully-realised, perfectly formed four-piece expression of their superb sound together. Josienne Clarke is best known for her work with guitarist/arranger Ben Walker, winners of BBC Radio 2’s Folk Award for Best Duo, 2015 and nominees again in 2017. In 2015 she appeared in Timberlake Wertenbaker’s Our Country’s Good at The National Theatre, performing two of her compositions in the show. She and Walker have just released their third album on the internationally renowned Rough Trade label.